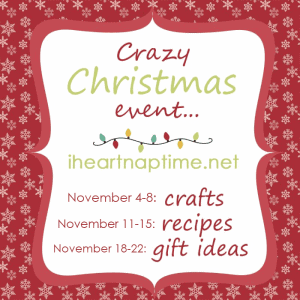 Welcome to the Crazy Christmas event! If you’re new here, join us on Facebook and Pinterest. Now let’s give Jen from Tatertots & Jello a big welcome! 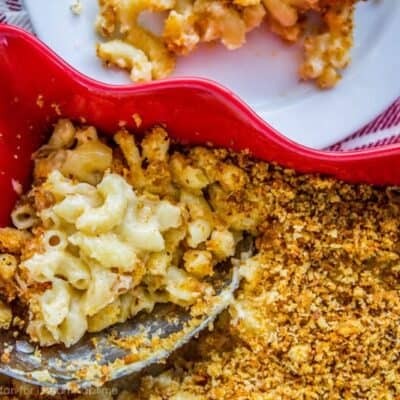 We’re so happy to have you guest posting! Topiaries are so festive for holiday decorating! 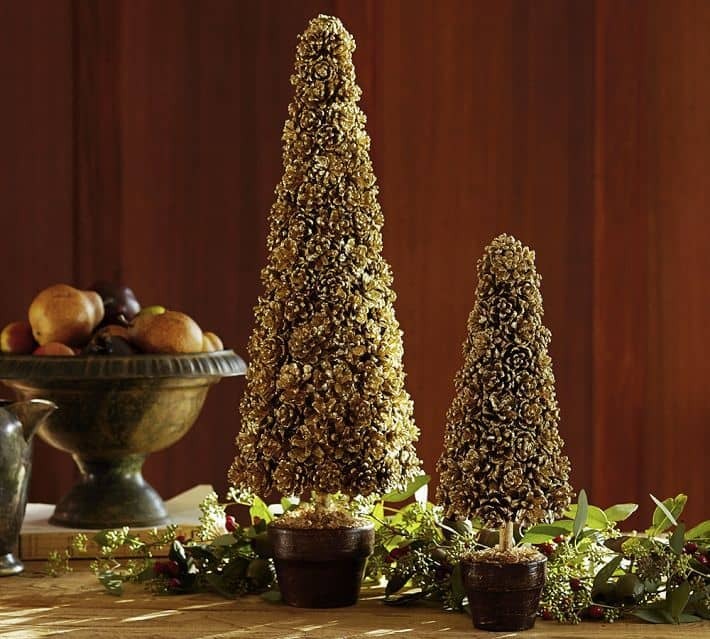 I was perusing the Pottery Barn catalog the other day and I spied some pretty GOLD pinecone topiaries. I am in love with gold for the holidays, and I loved the natural elements of the pinecones. I thought it would be a fun project to knock-off. Hot glue the metal ribbon to the bottom of each tree form. I found the metal ribbon at Hobby Lobby. 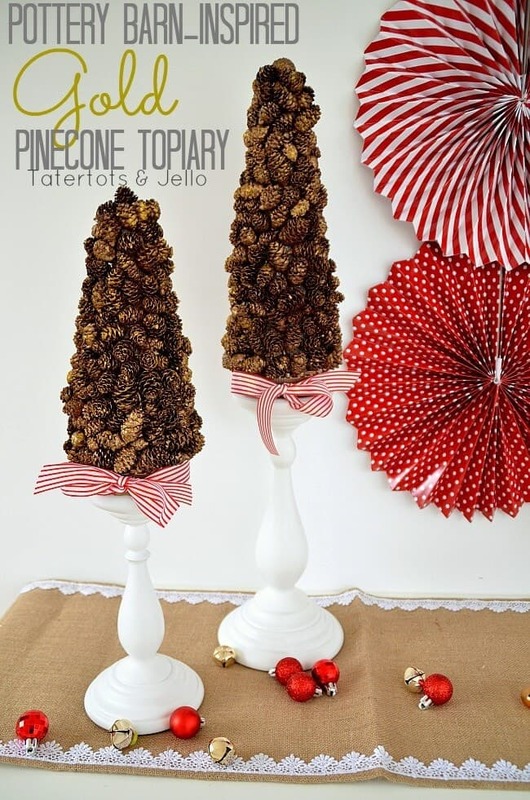 If you can’t use metal ribbon, you can glue pinecones all the way down the tree form. If you like the look of the ribbon at the bottom and can’t find metal ribbon, you can leave a space at the bottom where you can tie a ribbon on. Hot glue the pinecones onto the tree forms. (I wrapped the first form in ribbon first, but I discovered that you don’t need to do that since you are going to spray paint the whole thing later) I did a 2-inch section at a time. 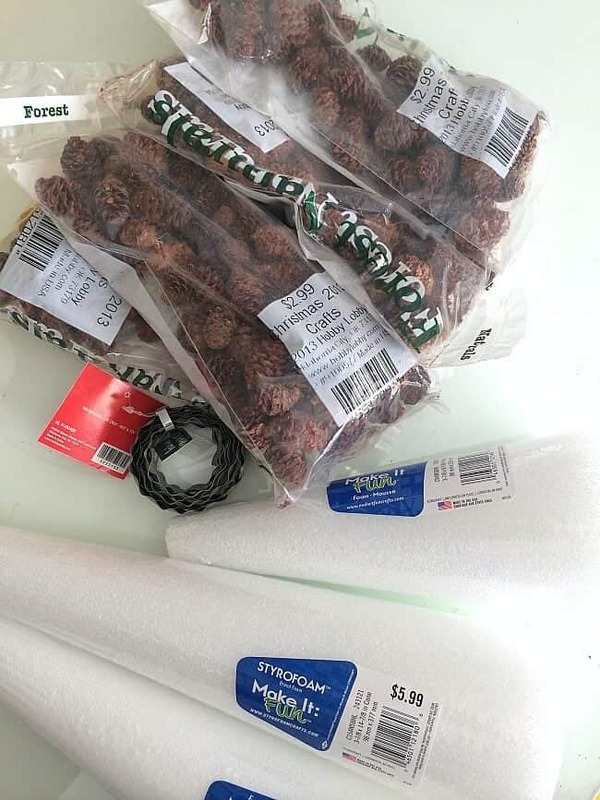 I put the hot glue on and then quickly stuck the pinecones on and then pressed them together before the glue cooled so there weren’t as many spaces in between the pinecones. Once the whole tree form is covered with pinecones, take the tree forms out and spray paint them with the bronze spray paint. 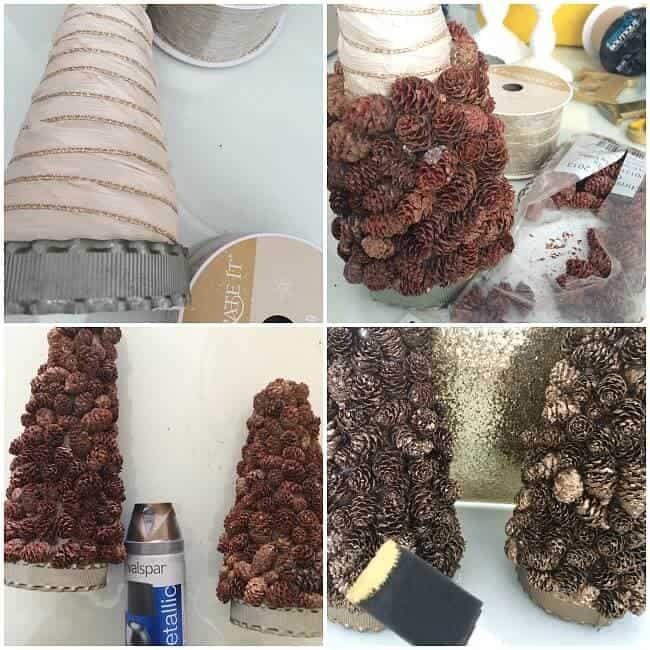 The spray paint will cover the pinecones and fill in the holes and cover up the hot glue, making the trees an even sparkly bronze color. So pretty! When the tree forms are dry, bring them in and then tie a ribbon at the bottom of the forms and set them on the candlesticks. You can hot glue them on the candlesticks if you want. I just set mine on top, the forms are heavy enough with the pinecones and hot glue that they are pretty stable if you have a candlestick with a big enough top. If you don’t want to use a candlestick, you can take a small dowel and push it up inside of the tree form and then put it inside of a small pot filled with florist foam like the ones in the Pottery Barn catalog. Enjoy your topiaries. 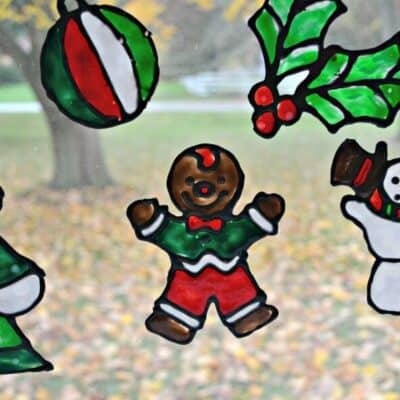 I think these would be beautiful on a Thanksgiving OR Christmas table! Thanks for letting me stop by! These are beautiful! Also, where did you get the pinwheels? They are adorable and go so well together. Love these topiaries. I’m all about gold this year. 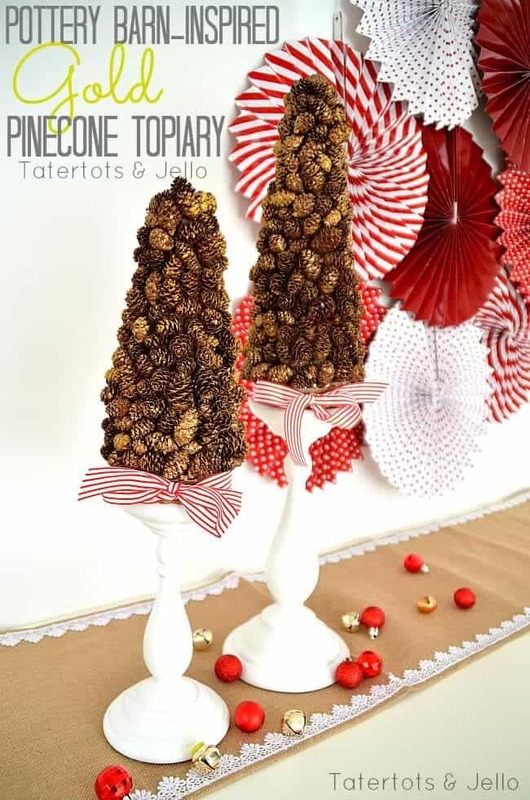 I just tried gold leafing on pincones (http://blog.christmastreemarket.com/2013/10/christmas-decorating-ideas/), though now I want try your version as well. Thanks for sharing! Thanks for letting me share my project. I am loving all of the ideas!! 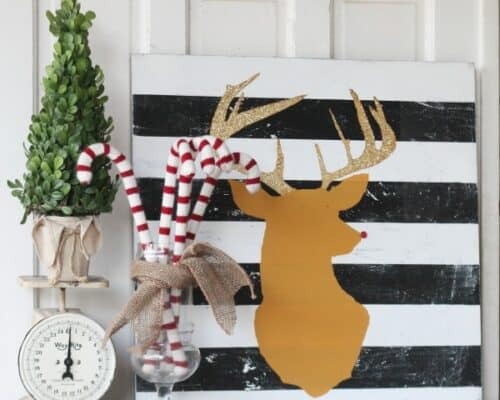 LOVE these- perfect accent for the mantle. 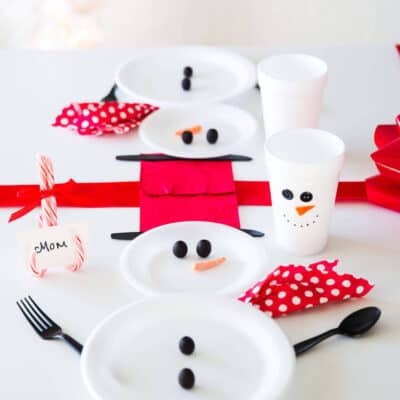 These are so pretty, and you’re right, they would be beautiful on the Christmas or Thanksgiving table. I just looked at the price of the Pottery Barn Topiaries — yikes, $30 – $60 each! 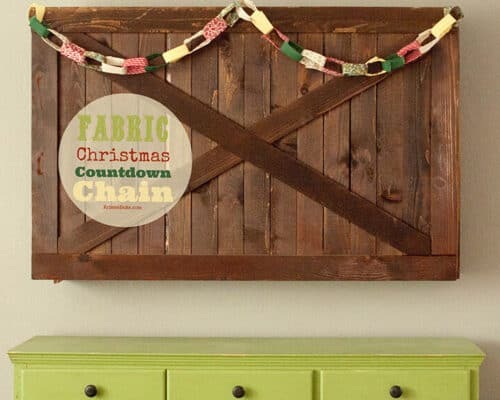 Great DIY idea! LOVE this …even more than the original! Thanks for sharing! This is lovely, I definitely need to do this!